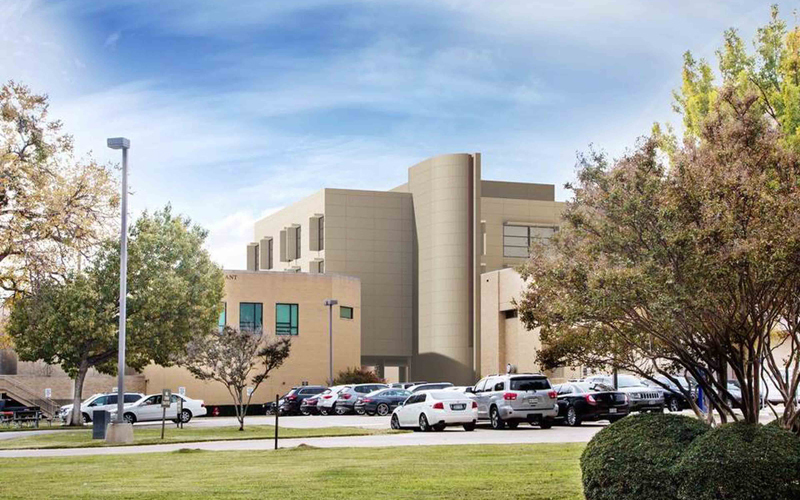 In 2016, Texas Health HEB opened a new continuing care / intensive care tower that puts patients at the center of the design, with larger rooms, more natural light and a quieter environment for healing. 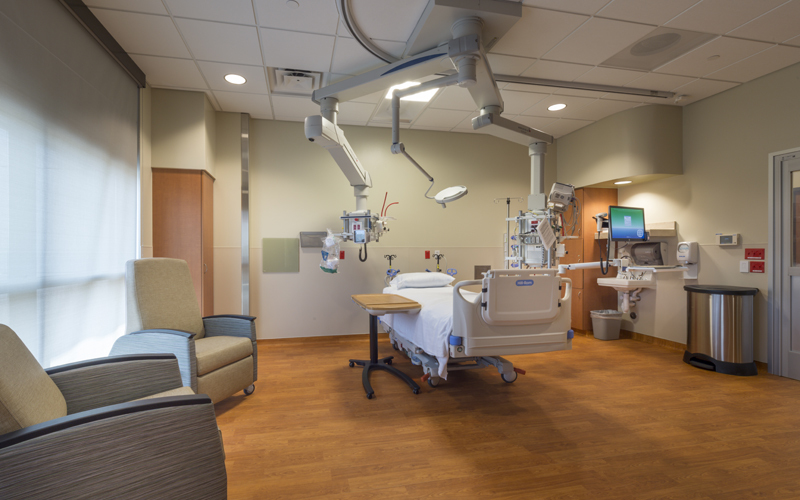 The new Tower features patient rooms that are spacious and private, enabling family to be more closely involved in the healing process with the option for one family member to stay overnight with the patient. 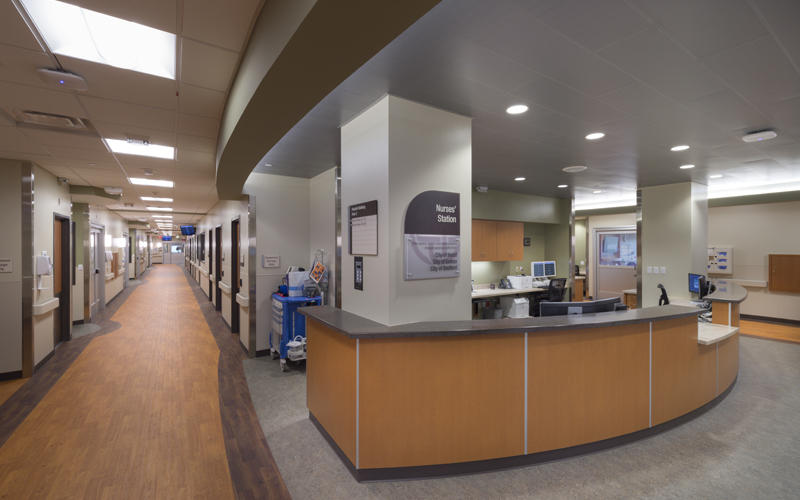 The rooms were also built with the flexibility to allow patients to stay in one room throughout their journey, with caregivers rotated to meet their needs. 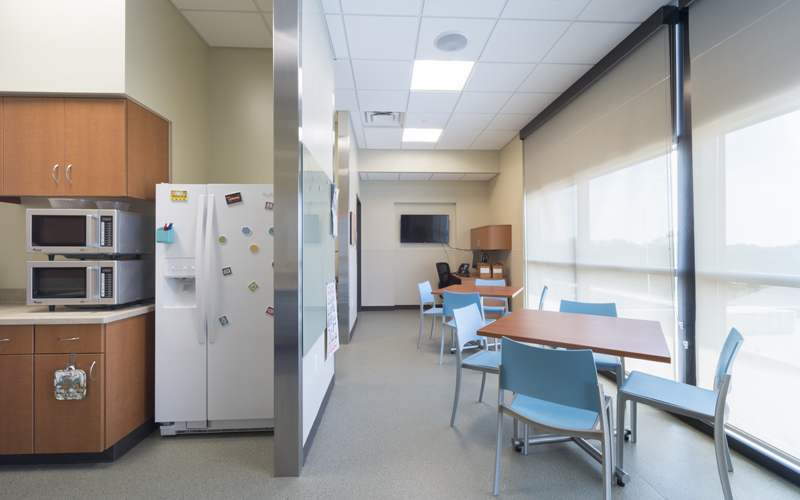 Large windows provide more natural light that helps promote regular circadian rhythms and a sense of calm through an atmosphere more connected to nature, which is also reflected in the soothing, nature-inspired color palette and natural materials. 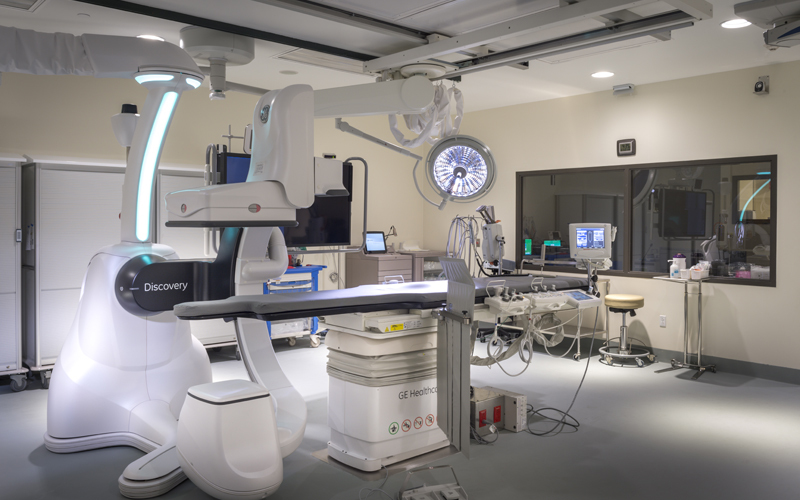 To provide a calm, quiet atmosphere, the needs of the clinicians were also prioritized when designing the tower expansion. 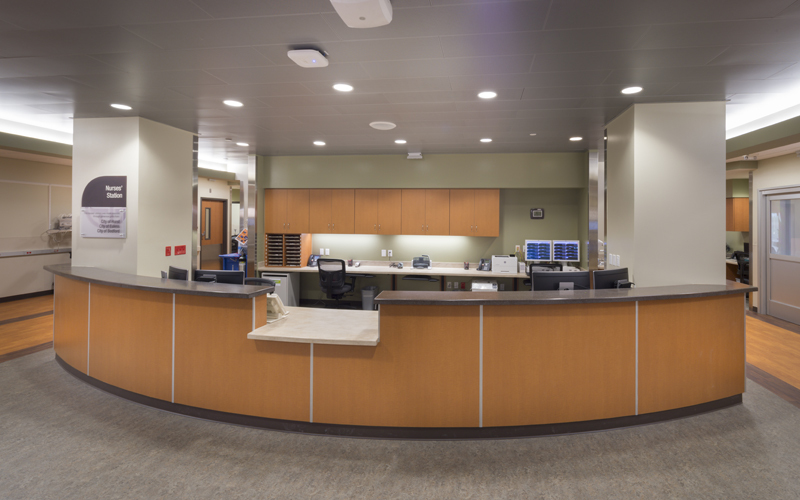 Physicians on the medical staff, nurses and other clinicians have common workspace areas where they can chart and dictate notes. 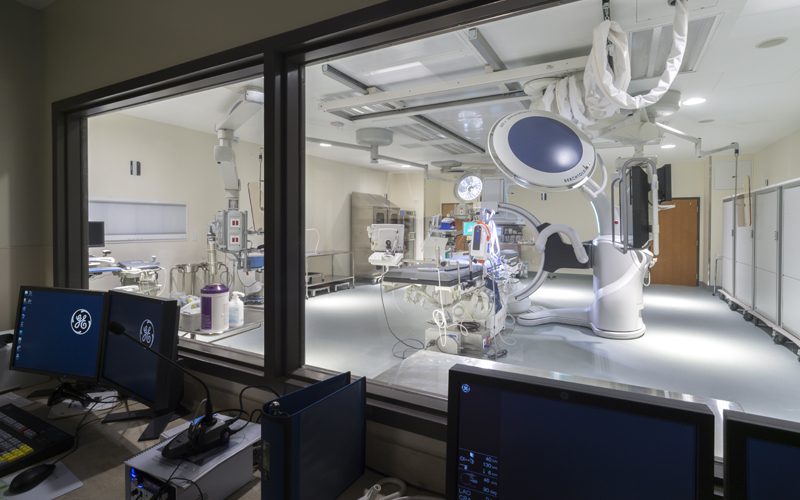 Substations located throughout the unit allow nurses a direct view to patients from hallway desks, and larger, flexible workspaces built into the unit will accommodate on-site team meetings, education and meetings between families and physicians.